While LG may not enjoy a huge fan base as Apple does, it sure has a pretty decent user base, and the LG V20 is exactly aimed to cater the needs of the brand-loyalists. The South Korean tech giant first showcased the LG V20 at IFA 2016, in Berlin. Apart from being touted as one of the first smartphones to run Android 7.0 Nougat out-of-the-box, the LG V20 has a few unique features up its sleeve which certainly set it apart from other flagship smartphones out there (at least on paper). Let’s take a look at some of its unique features. 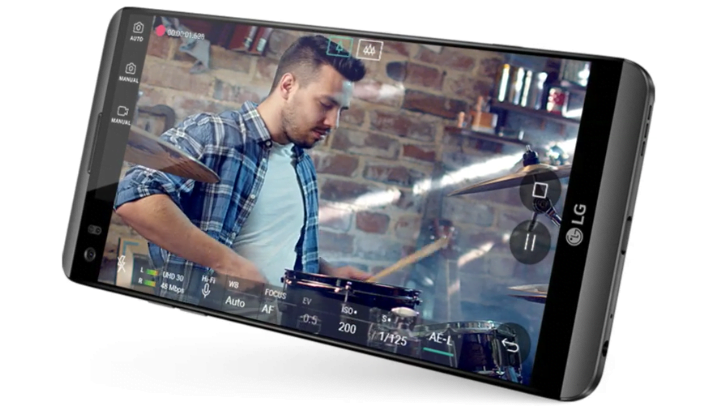 Akin to its predecessor (LG V10), the LG V20 still carries a dual-screen display. The primary 5.7-inch IPS Quantum display comes with QHD (1440×2560) resolution which results in a pixel density of 513ppi. On the other hand, the secondary 2.1-inch display strip, which is technically a part of the primary display comes with a resolution of 160×1040 pixels has dedicated driver to offer the functionalities it does. Another standout feature of the LG V20 is its dual camera setup. Interestingly enough, it comes with one of the best features we’ve seen on the LG G5. The device sports a 16-megapixel 75-degree lens along with an 8-megapixel 135-degree wide angle lens at the back. At the front, we are looking at a 5-megapixel 120-degree wide angle lens which means you don’t have to worry about those group selfies (or groupfies as you call them). While the smartphone misses out on OIS, it comes with Qualcomm’s Steady Record 2.0 EIS for smooth video recording. It also boasts LG’s Hybrid Auto Focus system which is a combination of Laser Auto Focus, Phase Detection Auto Focus, and Contrast Auto Focus. The highlight of the smartphone remains its 32-bit Hi-Fi Quad DAC (digital to analog converter). If LG’s claims are anything to go by, the DAC offers 55 percent less distortion. 1.8x more dynamic range, 1.4x the signal-to-noise ratio in comparison to other flagships smartphones out there. It also has 3 Acoustic Overload Point (AOP) microphones which are used to dynamically cut off the noise generated while recording a video to create studio-quality recordings. Moreover, LG is bundling the V20 with B&O Play headphones to provide great audio experience. While these features may seem pretty interesting on paper, we are yet to see how they fare in the real world usage. Speaking of which, we may get our hands on the device in a couple of days. So, do let us know what you want to know about the device through the comments section below.